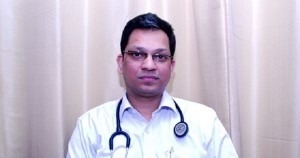 Dr. Ajit Mehta is an Interventional Cardiologist in Pune, currently practicing at Jehangir Hospital, which is an associate hospital of the Apollo Hospitals group. Apart from routine Coronary Angiography & Angioplasty, Dr.Ajit Mehta also has expertise in Complex Coronary Angiography such as Bifurcation/Athrotomy. He also has considerable experience in Primary Coronary Angioplasty, pacemaker implantation, biventricular pacing for CHF and ICD implantation. Dr.Ajit Mehta has a keen interest in Paediatric Cardiology and device closure for Atrial Septal Defect (ASD) and Patent Ductus Arteriosus (PDA). Dr.Ajit Mehta is the Best Interventional Cardiologist in Pune. WHY DO WE NEED HEART CARE? Modern & Sedentary lifestyle has bought lot of advantages to human being, but at the same time it is also bringing a non caring approach among individuals towards physical health. Continuous work pressure, eating junk food & not exercising for long years is becoming very common among people. This is leading towards growing number of people starting to face various heart problems including heat blockages & Heart attacks. It is very important for everyone to know about healthy lifestyle to prevent from heart diseases & if one is already suffering for a heart disease how to reverse & how prevent it from further complications. A cath lab is an examination room in a hospital or clinic with diagnostic imaging equipment used to visualize the arteries of the heart and the chambers of the heart and treat any stenosis or abnormality found. “It indeed it gave me a great pleasure when I met you. It made me proud that you are a cardiologist at Jahangir hospital, Pune. It makes me very happy observing your ability, capacity, attitude, behaviour, ALLMIGHTY and concern toward patients. Your ever smiling face soothes patient instantly and makes him secured 100%, happier 50% and becomes more confident once he communicates with you. Your nature is absolutely fantastic. It does not only appear that you are treating patients with your knowledge but with the wisdom acquired over the years. Your way of treatment is self-explanatory that you are acquiring updated knowledge about your occupation and environment, science and new technology regularly. When I met you on the 2nd Feb. 2017, you approached us cordially and in an enthusiastic manner, it assured me that I am in safe hands, there was no sign of tiredness and fatigue, you were fresh as blossom. Your handling of patient explains to the patient that you are not only a doctor who treats but a friend in need, philosopher, and guide to show the way forward after recovery. There is never hurry or anxiety to finish the job earlier. But your dedication is quite appreciable. I do not know your wife well enough but she has made a better choice for you. Your parents must be proud of you, please keep it up. May God bless you with long life, good health and wealth.